(New York- April 4, 2016) Tom Odell will release his second album WRONG CROWD on June 10 via RCA Records. The album, available for pre-order now, and is the follow up his 2013’s million selling, #1 UK debuting album Long Way Down. Long Way Down, his debut album was met with tremendous critical reaction and earned him the highly prestigious Ivor Novello Award for Songwriter of the Year and the Brits Critics’ Choice Award. The album was co-produced by Tom Odell and Jim Abbiss, who has also produced records for artists including Arctic Monkeys, Kasabian, and Adele. 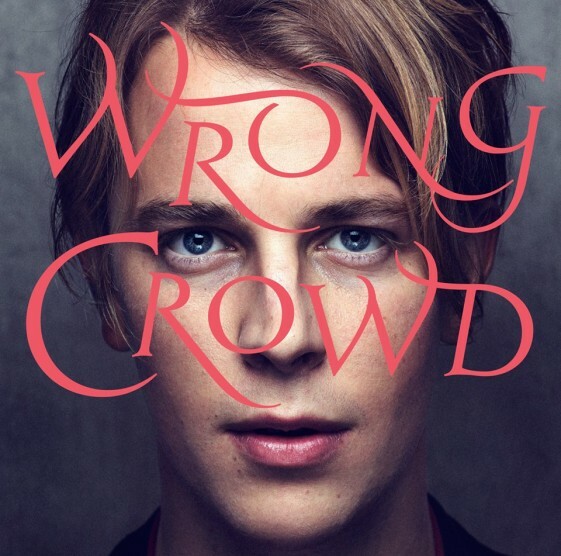 WRONG CROWD is the follow-up album to Tom Odell’s 2013 million selling #1 UK debuting album Long Way Down, a campaign which saw Tom Odell accomplish many milestones: winning the Brits Critics’ Choice Award in 2013 at the age of 22 with his debut album, receiving the prestigious Ivor Novello Award for Songwriter of the Year in 2014, being nominated for two more Brit awards in 2014 for Best Male and Best Newcomer, and touring extensively across the world and opening for Billy Joel on several U.S. dates. Tom garnered over 200 million cumulative views on YouTube, and accumulated 8 Gold and 2 Platinum certifications around the world. His singles “Another Love” and “Real Love” both hit the UK Top 10, with the latter, a cover of a track by The Beatles – used for the UK John Lewis’ Christmas TV 2014 ad campaign. Tom will play a series of intimate concert venues across Europe throughout April and in the US in May, including a date at New York’s Mercury Lounge on May 4th and Los Angeles’ The Masonic Lodge at Hollywood Forever on May 6th. Visit www.tomodell.com for tickets and more.